WOMEN KNOW HOW TO DO WOMEN…. That’s what’s going on with Keranique hair care. It is a new product solution designed by women, for women, to address hair rejuvenation and regrowth. This line is specially targeted to a woman’s biochemistry. Designed not only to treat female hair thinning and loss, also to prevent the root cause of the issues associated with the aging of hair. Each product is enriched with a complex of keratin, amino acids, proteins, and vegetable derived humectants, -to help strengthen and fortify your hair. 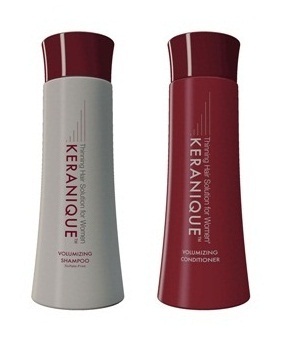 I tried their shampoo and conditioner, and though I don’t have thinning hair, it definitely gave me major volume. So strengthen and rejuvenate your hair, and get ready for it to be pulled….